This week was full of visitors at Piers Park. We had visits from one of Boston's City Counselor's, members of the Massachusetts Port Authority, and even the founder of a local nonprofit organization. Our first visit was by Margaret Farmer who is running for Boston's City Counselor in District 1. In this district, if elected, she will serve Charlestown, East Boston, and the North End. 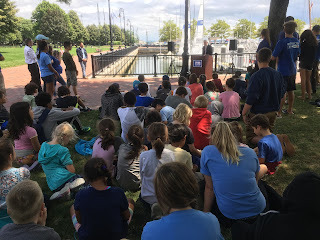 Margaret explained to our Harbor Explorers that it is important for Boston to have City Councilors who are able to communicate with the Mayor of Boston about important issues in their communities. If they are experiencing troubles with things such as trash in their communities or needing something for their local public schools their parents can call the local City Councillor who will communicate the needs of the community to the Mayor. Our second visit was made by members of the Massachusetts Port Authority or Massport. A special ceremony was held in honor of Massport being such a large supporter of the Piers Park Sailing Center. 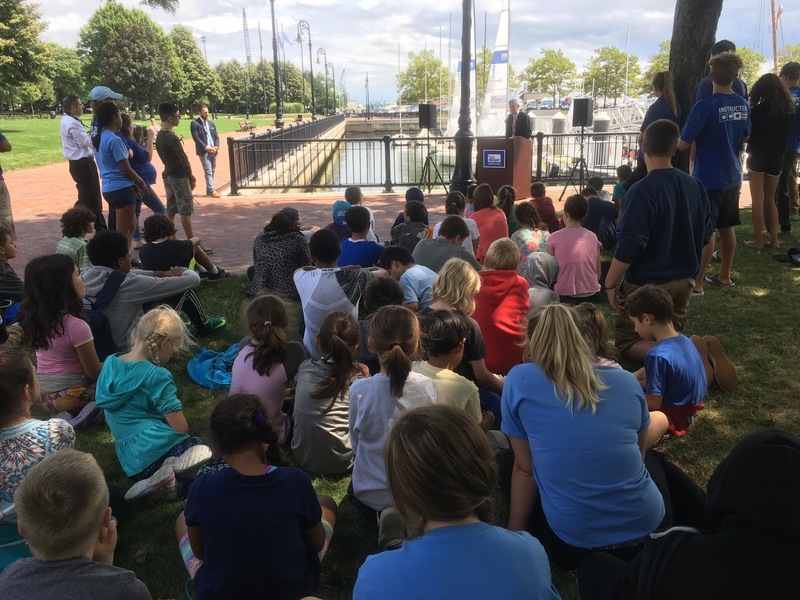 A speech was given by Alex, the Piers Park Sailing Center Executive Director on behalf of the impact that the sailing center has on the youth of East Boston and its surrounding communities. This ceremony was a great example of proving that to achieve greatness we must work together. On Friday, Piers Park welcomed another guest. This guest was a little bit different than the rest, her name was Magdalena and she is the founder of Harbor Keepers. 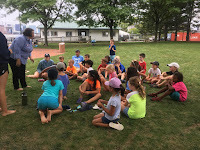 Harbor Keepers is a nonprofit organization whose mission is to provide education about weather & climate, Boston Harbor, local marine ecosystems through waterfront tours, exploration, and free marine education. We learned about marine debris and how long different items take to biodegrade in the ocean. What we all learned was that everything takes a very very long time before it can be beneficial to the environment. After we learned about all this trash, we needed to talk about what we can do with it. Magdalena explained that trash can be turned into art projects as she showed the children things she has made. 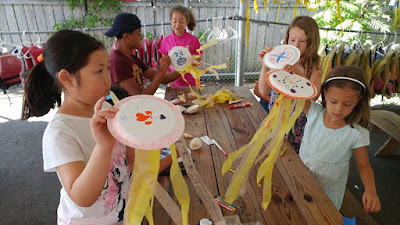 We taught the kids how to make their own debris art and everyone made a jellyfish that they were able to take home. Working hard on their jellyfish! After this busy week I can't wait to see what next week has in store!